Biased Wheel - A roulette wheel that has an imperfection that causes certain numbers or sections of numbers to appear at a higher frequency than probability allows for. You’ve come to the right place to play some free online roulette. Our game has top of the line graphics and an easy to use interface. It offers you a great opportunity to practice your roulette strategy without testing your bankroll. Another great thing about it is that our package includes a variety of other games to play in case you should feel like taking a break from roulette to spend some of that fun money you earned at the wheel on another game. Games include slots, video poker and black jack. 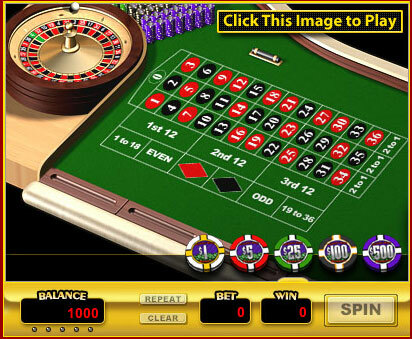 And best of all, in this free online roulette game, you get to chat with other players! Good luck!